AAID Credential: Congratulations Dr. William Tyler! 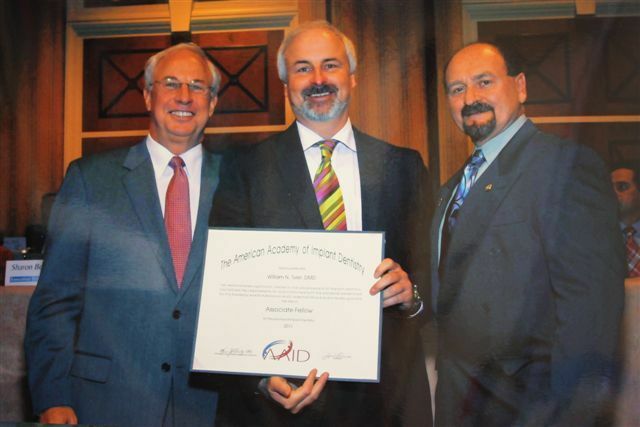 Dr. William Tyler has received the prestigious American Academy of Implant Dentistry (AAID) credential, which is awarded to only 570 dentists worldwide. Read the press release here. Dr. Tyler is highly credentialed with years of experience in all aspects of implant treatments. This includes implant placements, all necessary preparatory surgeries as well as restoring your lost teeth with restorations that are very functional and esthetic. In a nutshell, with Dr. Tyler, all necessary steps to help get your best result can be done in one office.